Recently RAD LAB has completed several new placemaking container throughout California. This small vacant lot located in the middle of an attractive shopping center has been forgotten for years, collecting blight and transits to camp out. RAD Lab designs were commissioned to activate the lot with the concept of a small urban park tasting room occupied by Berkeley based Field Works Brewery. 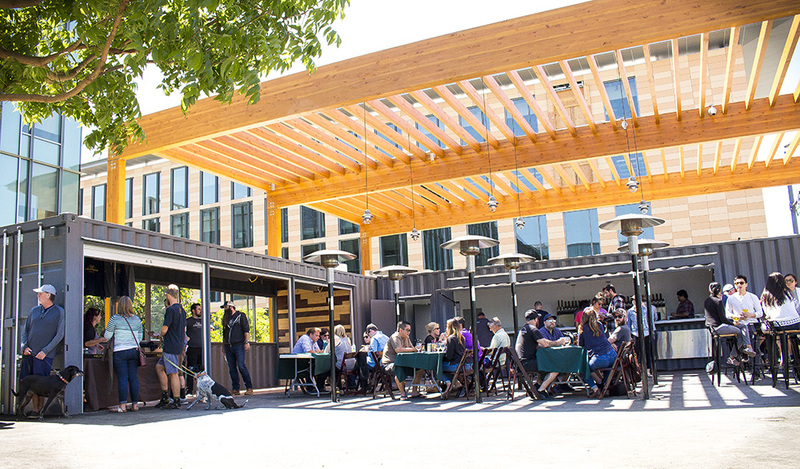 With the purchase of three used 20' shipping containers, we managed to design and retrofit each container into a different use; One bar/serving space, one cold box (keg room), and one M/F restroom, leaving 80% of the lot left for open-air seating and socializing. The client's need for growth was the driving component for the Office Pod container project. 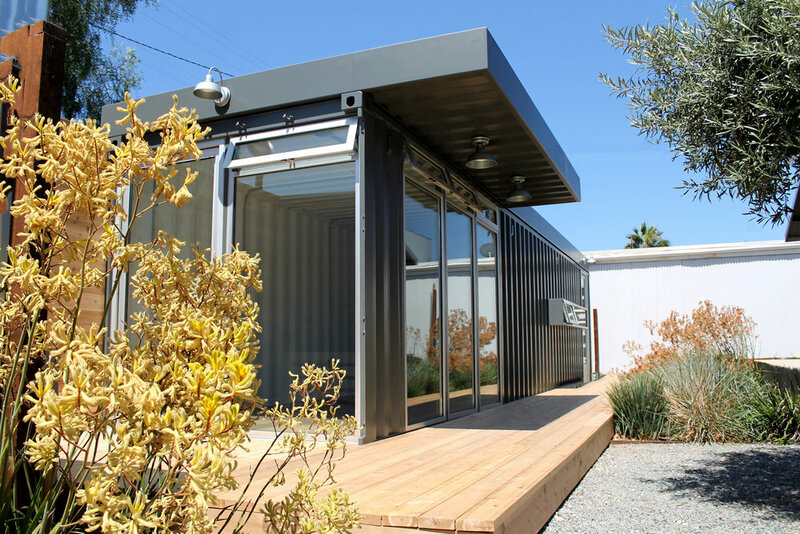 This project was designed with the use of one 40 foot recycled shipping container, repurposed into a small office within an existing office courtyard. The 40 foot container was divided into two (160 sq.ft.) private office spaces, each with private entry / exit doors. We incorporated a green roof into the design to mitigate interior heat gain as well as provide a natural landscape aesthetic that adapts to the surrounding courtyard context. Exterior windows differed on each end of the container, creating a unique experience for the two private offices on the interior. Another example of smart growth within a company, giving the client an inexpensive tool to expand in phases. House of Air is an indoor Adrenaline Park. RAD LAB was commissioned to design the 30,000 square foot tenant improvement for the Carlsbad location. The two 20' stacked container design will serve as a drop zone for customers to free fall about 25' into an air bag.